Chavistas flocked to Caracas to oppose the recent revelations that suggest that the Trump administration is helping organise a military coup d'etat in Venezuela. 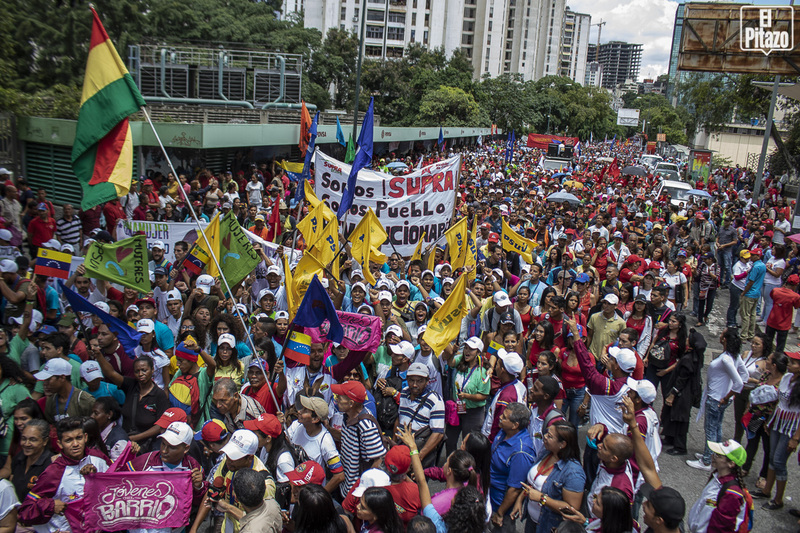 Thousands of pro-government supporters took to the streets in Caracas Tuesday in a show of support for President Nicolas Maduro, and to commemorate forty-five years since the vile coup d’etat in Chile which overthrew elected President Salvador Allende on September 11, 1973. The mobilisation was also in opposition to recent revelations that the current US government had been holding regular meetings with “rebel” Venezuelan military commanders, who were trying to instigate a coup d’etat against the current government. 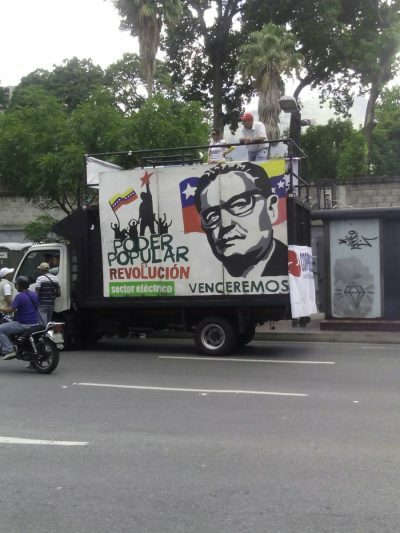 With the participation of a whole range of pro-government political parties, social movements, and organisations, the march coincided with the Congress of the youth wing of the governing United Socialist Party (JPSUV). “What we are asking for is that they get their hands out of Venezuela (…) this we say to imperialism, to the enemies of the nation, to the reactionary international and national Right, this people is not willing to put up with more threats and persecutions,” stated Chavista leader Pedro Carreno at the march. “We commemorate the eternal memory of the socialist leader Salvador Allende at the 45th year of the magnicide carried out by North American imperialism. His voice converted itself into millions of people who continue struggling for a fairer world. Allende lives, the struggle continues!” read his tweet.